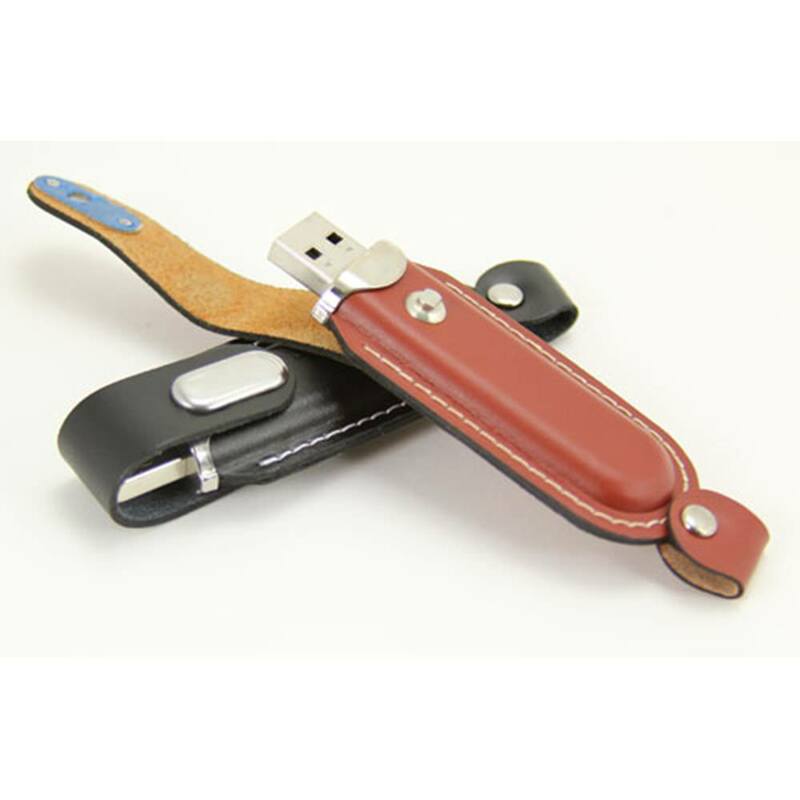 The Bandit Leather USB custom drive is a rugged and tough leather USB that’s built to last. 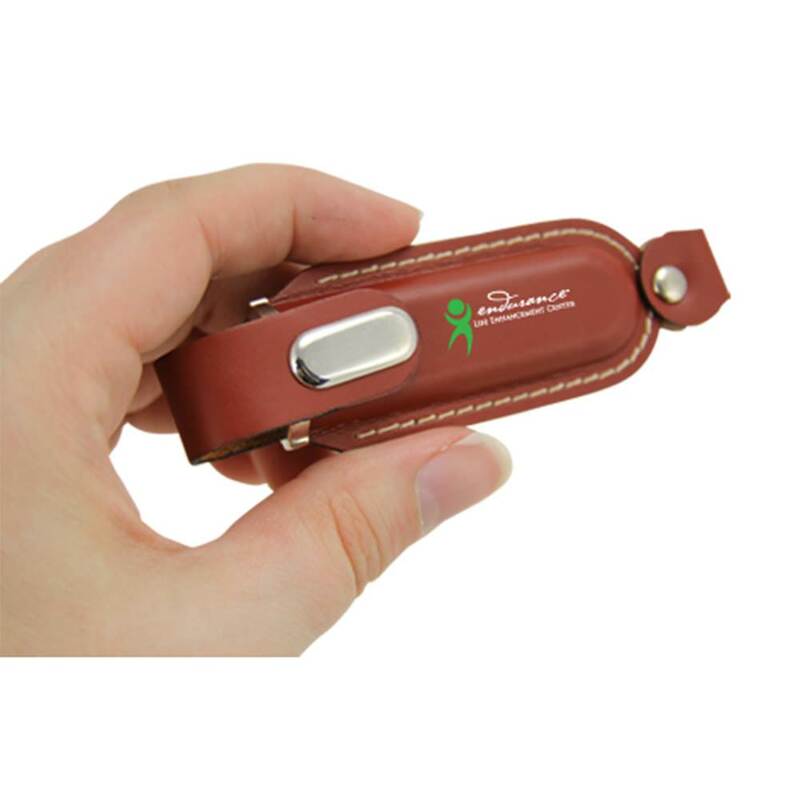 Made out of artificial or genuine leather with metal, this custom branded USB is a capless drive that features a magnetic cover. It comes with a FREE 4-Color Silkscreen or Heat Stamping so you can personalize your drive with your logo or brand. It also comes with FREE Data Pre-loading and FREE shipping. 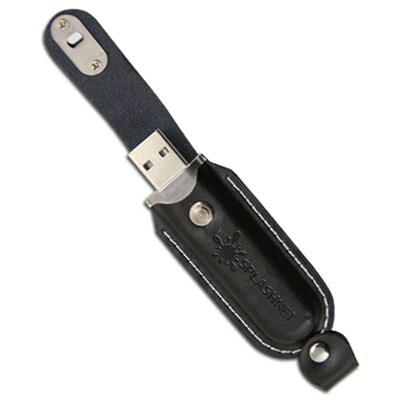 Turn time for customizing your Bandit Leather USB drive is within 10 business days. 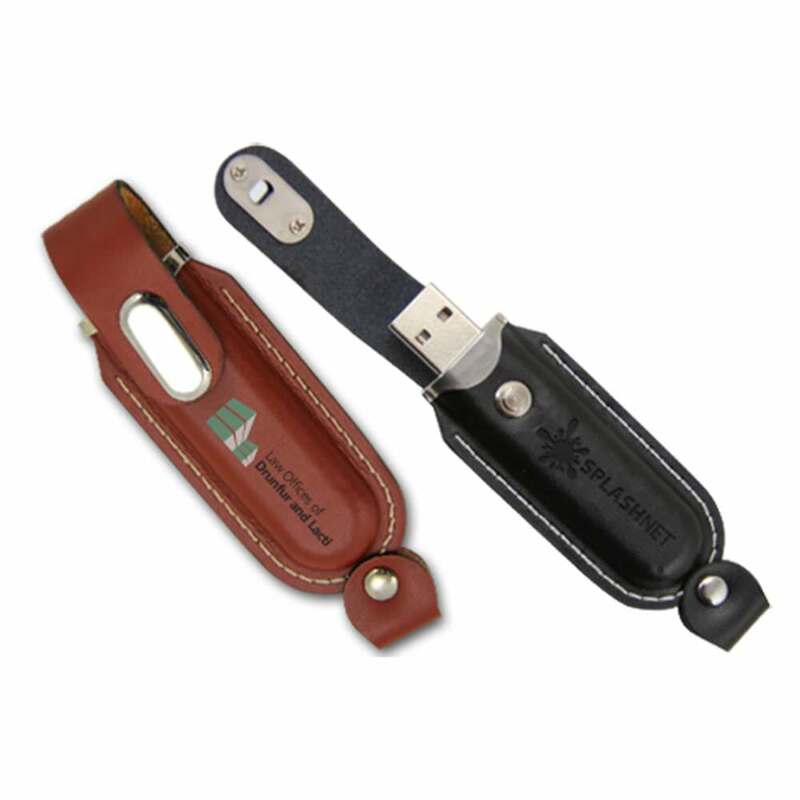 This tough leather USB drive will weather out all other competitors! Get a flash drive that lives on the wild side with our Bandit Leather USB custom drive! These rugged and handsome custom drives are made out of artificial or genuine leather that’s blended with metal. 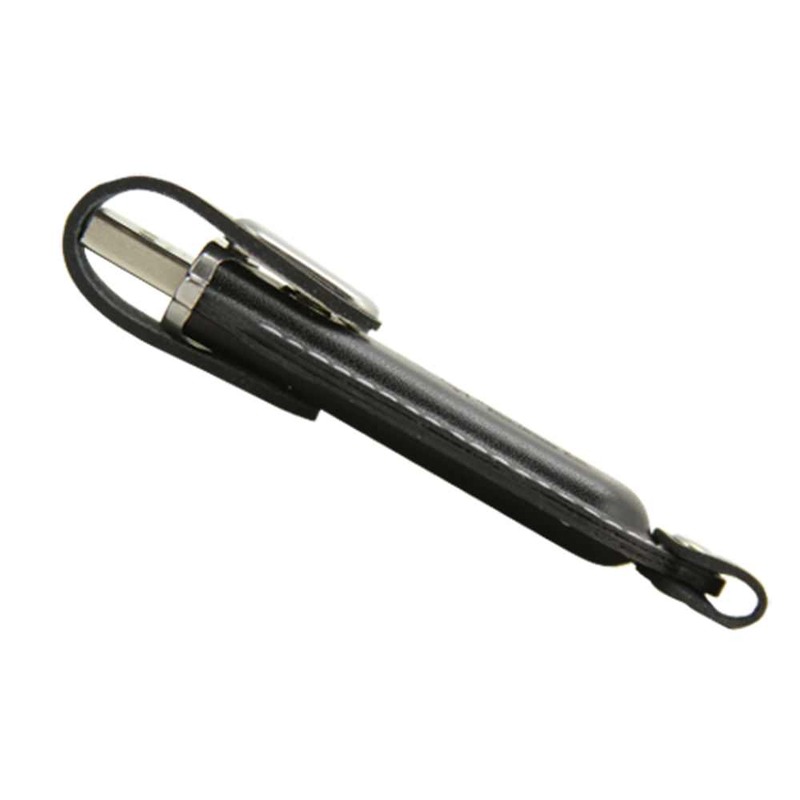 The Bandit Leather USB is very durable and hardy, built to last and to impress. It comes with a FREE 4-Color Silkscreen or Heat Stamping so you can personalize your drive with your logo or brand. It has a key loop for easy transport. The Bandit Leather custom drive is capless and comes with a magnetic cover to keep your data safe. The Bandit Leather drive also comes with 100MB of FREE Data Preloading! It has storage capacities ranging from 128MB to 32GB, perfect for storing all your documents, pictures, music, videos, presentations, multimedia, and other essential files. The Bandit Leather USB comes with a shock resistance of 1,000G, up to 10 years of data retention, and a limited lifetime warranty. This drive is compatible with PC, Mac, and Linux. The Bandit Leather custom USB is available with FREE shipping. Customization turn time is within 10 business days.